Glastonbury Festival has a variety of toilet types and all are cleaned at least once a day. Please don’t pee anywhere except in the loos. Urine can kill fish and wildlife in the streams and pollute our beautiful farm. All Festival loo points have either hand washing or hand sanitiser facilities – make sure you use them. You are more likely to catch a bug from not washing your hands than from any other source. • LONG DROPS A Glastonbury Festival tradition! Lockable and open air, once again we have built even more this year and now have over 2,000 long drop seats across the site! 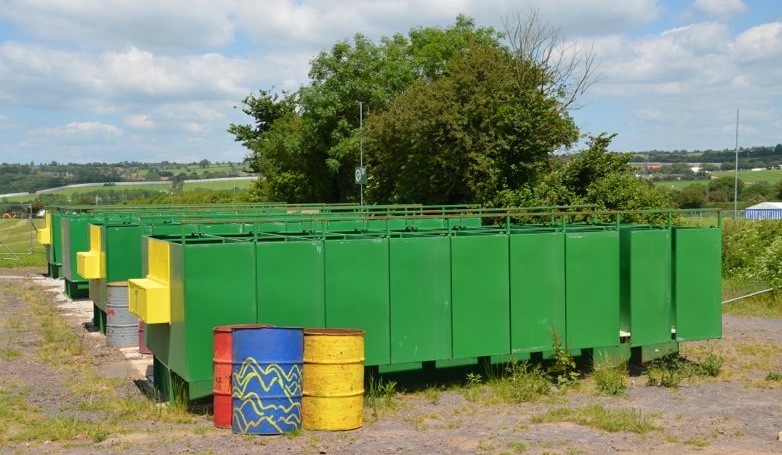 • COMPOST LOOS Glastonbury Festival now has over 1,300 compost toilets across the site (with more than 1,100 supplied by Natural Event). Only toilet paper should be put down a compost loo and sawdust should be sprinkled after a ‘number 2’. The sawdust is located outside the loos and you scoop a cup of it before you go to the loo. • PORTABLE TOILETS There are less plastic portable loos than ever on site but if you do come across one make sure you flush it before and after each use as they become blocked quickly. • DISABLED TOILETS There are wheelchair accessible toilets on viewing platforms at all the main stages and throughout the site. These are locked to avoid them being misused. If you are registered disabled and require access to these toilets please contact accessibility@glastonburyfestivals.co.uk prior to the start of the festival to apply for this access. • URINALS and SHEPEES There are over 700 metres of male urinals dotted across the site. The lovingly decorated female urinals known as “Shepees” are cared for by WaterAid volunteers who are also on hand to assist newcomers! There are four Shepee sites for 2019: the Cider Bus, The Park, Glasto Latino and in the Kings Meadow. Please Leave Facilities In The Condition You Wish To Find Them. Respect Each Other And The Farm.